For the last race of the 2018 Western Series, we have our sights set on Ridgecrest OHV Area. During the heat of the summer, the race at Ridgecrest will be at night (lights are required!) on OHV land with terrain that rivals The Hammers. Drivers can expect a combination of open-desert sections and rock obstacles, very similar to Johnson Valley! The course expected to be 100 miles for limiteds/UTVs and 150 miles for Unlimiteds. It is a 50 mile loop. Similar to Fallon, there will be a main pit, a camping near the start/finish, and one remote pit. The remote pit is at approx. RM 30, and is several mles down a maintained dirt road. Those wishing to utilize this pit need to bring appropriate supplies and be prepared to stay in this location for the duration of the race. Cell service is spotty and temperatures will be in excess of 100* plan appropriately. Ridgecrest is shaping up very well! The loop will be approximately 50 miles with 3-4 rock trails. The first 3 are on par with Aftershock or Balderdash. The 4th is legitimately difficult. We are going to put cars on that trail to determine viability. There are about 5 miles of rough/whooped out track. Another 5 of windy washes and 30+ miles of fantastic and challenging high speed desert. It will definitely be hot, but I am confident you will enjoy the event. As you look at the schedule, we are going to change things up and have the ULTRA4 class run first, finishing just after dusk. The UTVs and Limited classes will run together after dark. I plan to start the UTVs first, bypassing the hard rock trail and starting 4500/4800s 15 minutes later. The 4600 class will start last and will also bypass the hard rock trail. There is dry camping available starting on Thursday and will be free for teams. Pre-Order your Renegade Race Fuel by August 2nd. The Main Pit for camping and start/finish area are located off of Trona Rd. Near the Wagon Wheel Staging Area. PLEASE NOTE: For those coming with large trucks and trailers, the best entrance is about a mile South of the Wagon Wheel OHV Staging Area off of Trona Rd. The Wagon Wheel Staging Area is not as smooth of an entrance. All Entry fees must be received by August 3rd, any entries after this date will be subject to a $100 late fee. Pay for a single race - login with your driver profile then please select your class under racer at this link and hit "register now" to pay the single race price. If you are wanting to register for the shootout, please select shootout as your class. All drivers and co-drivers participating in this event will need USAC insurance available at www.ultra4license.com If you've already purchased your annual license for 2018 you are good. Please note: All attending must either pay for pit crew bands for the weekend or purchase spectator tickets for the weekend. The ridgecrest race is an open desert race, and spectating will be limited to specific areas on course, just like at King of The Hammers. 2PM Pits open for Move In - Teams will be allowed to inspect course at 35 MPH after pit move in on Thursday. Maximum speed is 35 MPH. Obey all California laws. COURSE INSPECTION AT YOUR OWN RISK. 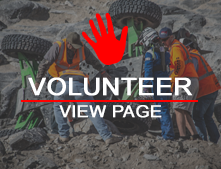 3PM – 6PM Early registration in Wagon Wheel Pit Area off of Trona Rd. 9AM – 11:59PM Course open for inspection. 2PM Tech inspection on site in main pit Drivers must register before tech inspection. 5PM Mandatory driver meeting for all drivers. Drivers unable to qualify must be available for driver updates 45 minutes prior to start of race time. 6PM – 8PM Qualifying for all classes – Qualifying will be approx. first mile of race course and teams can then continue on to pre-run or return to pits. 12PM Course closed for inspection.